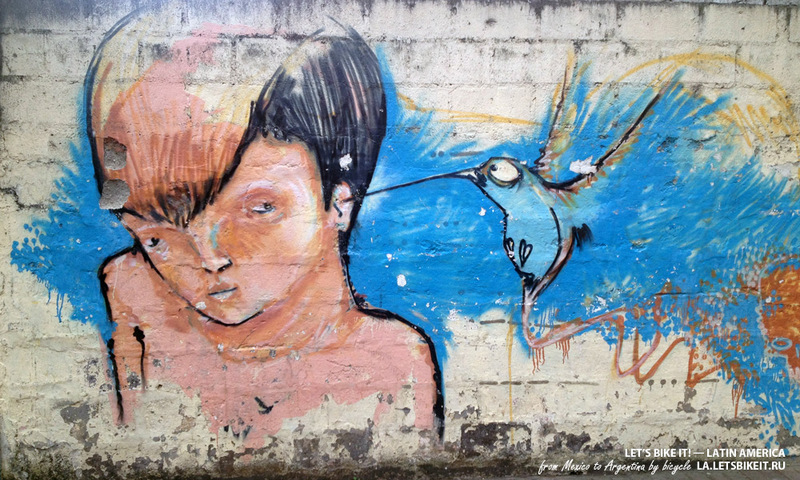 After a month I spent in Quito (got lucky with an accommodation) — I’ll write about it later — I continued my journey. 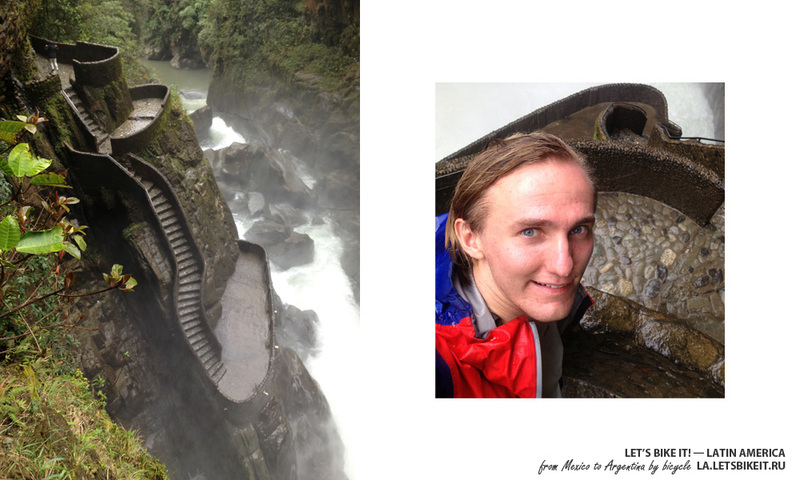 You’ll find below a narration about the first 200 kilometers I did after I left the capital of Ecuador, different overnight stays, travel surprises, volcanoes and waterfalls. 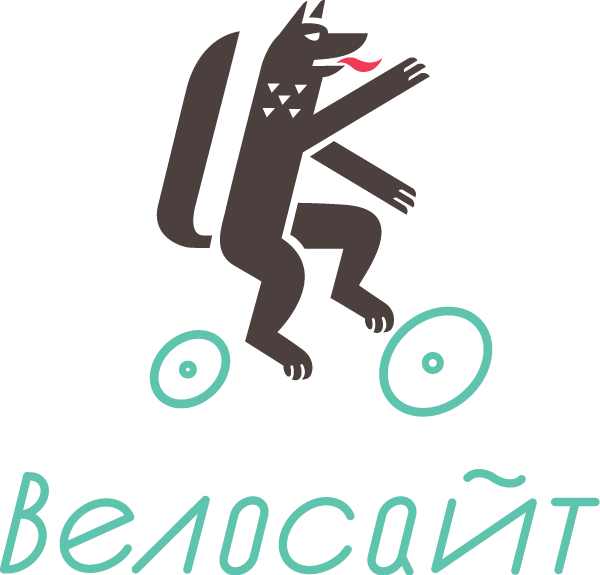 We wasn’t acquainted with a bunch of internet sites for bicyclists in the beginning, therefore, starting to pedal in the morning, we knew only the distance between A and B points, the relief of a given section of a road was a mystery. 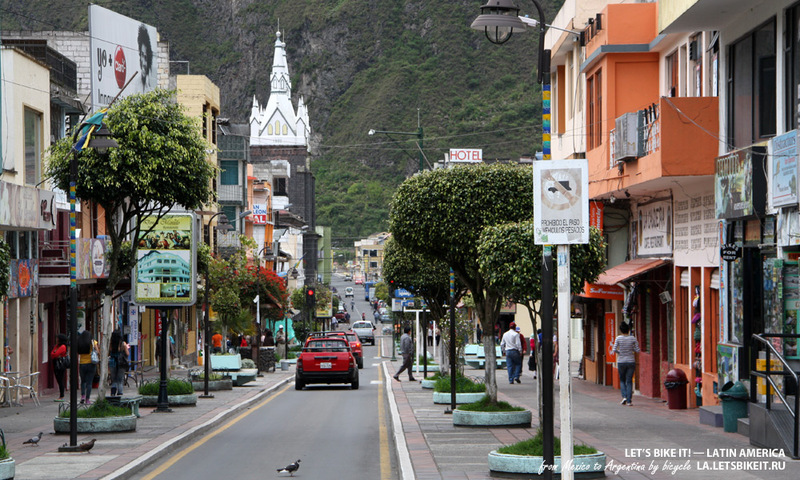 Later, planning my way out of Quito, I could even choose streets of a city, so that to overcome less ascends and descends. There were more ascends on the first day. In order not to get tired this day, I decided to ride 45 km only. Quito — Machachi, 44 km. From the northern part, where I stayed for nearly a month, I had to do almost 20 km through the city down to the south. Hoping to experience less traffic, I decided to proceed on Sunday. As soon as I got on the bicycle, it started raining. I calmed myself down, “A drizzling rain is always better than the burning sun. And by the way the air will be less dusty”. But as soon as I reached the angel’s back, I had to pull out a baggage covering, and a bit later — to hid under the roof — the rain became heavier. I had to wait about an hour. 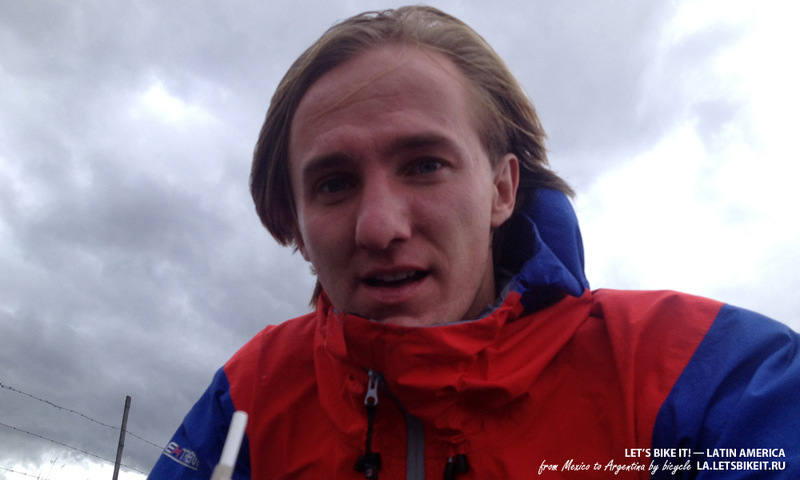 Berghaus jacket perfectly keeps one from wind and rain but to pedal at such weather isn’t a simple task. 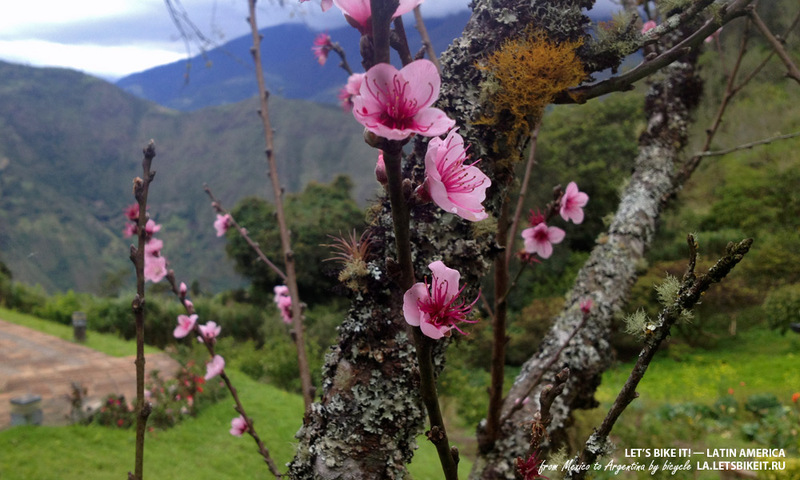 In a few kilometers from Quito I stopped to take a few pictures and was surpassed by two Americans, who were riding half-broken bikes back to a farm, where they volunteered during their journey from Paraguay to the US. 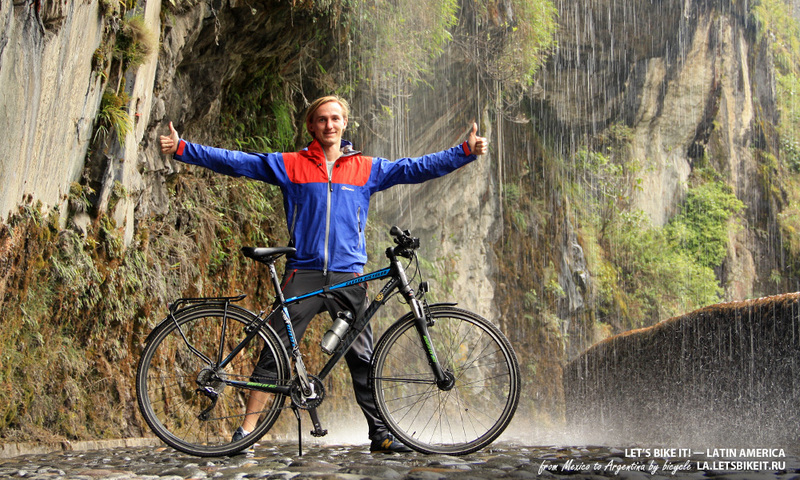 At the end of the last semester of studying, when their classmates bought air tickets, they decided to buy 2 bicycles to ride through the entire Latin America back home. It darkened quickly and we parted soon. I turned to Machachi and they hurried to a farm. Searching for a place to stay, I stopped in the very center of the city and looked around. An old man went by with bags full of food, muttering for I was blocking his way. I excused my having done so, thinking to myself, “Not a tram though...” He took a few steps forward and then went back, saying, “Are you looking for a cheap, convenient place? Come with me!”. We walked a pair of blocks together. Near the gates with a signboard “Shaurma. Kebab.” he asked me to wait and got in through the side-door. In 5 minutes another man came out and took me indoors, where I was showed a big room. There was a chest of drawers with a framed photograph and a porcelain statuette of svans. — Cute. Do you have the Internet? — Yes, — he called for his son, — He’ll tell you everything, I don’t know much about it. Are you from Russia? I speak Russian a bit. — Interesting! How did that happen? — I’m from Afghanistan but more that 20 years live in Ecuador. When I understood that there’s nothing more to do in my motherland, I got on a plane and flew away. I flew to Moscow first where changed a plane for Cuba and then I got here. Do you want tea? Look, how many different kinds of tea I have. A boy, about 13 years old, showed me how to use the Internet. His mother came in too and when I asked her, whether I could find something except for rice and chicken for supper, she jested, “Yes, rice without chicken and vice versa”. As I had already eaten chicken and rice for dinner, I ate fresh fruits and vegetables for supper, which I bought on a big Indian market. While falling asleep, I was thinking for the nth time of how cool would it be to write down the names and take pictures with people like this Afganian. Machachi — Latacunga, 45 km. It was expected that while my being in the Alley of Volcanos — among which there are a lot of very high ones — I’d feast my eyes upon the snow-capped peaks every day. But I wasn’t lucky enough to catch good weather — the sky has clouded over again, and I hid under the roofs, keeping the rain out time and again. In addition my asthma declared itself again in Quito (i got better in a few days after departure), the ride wasn’t so fun. The things I was glad about were an excellent road and signboards along it. 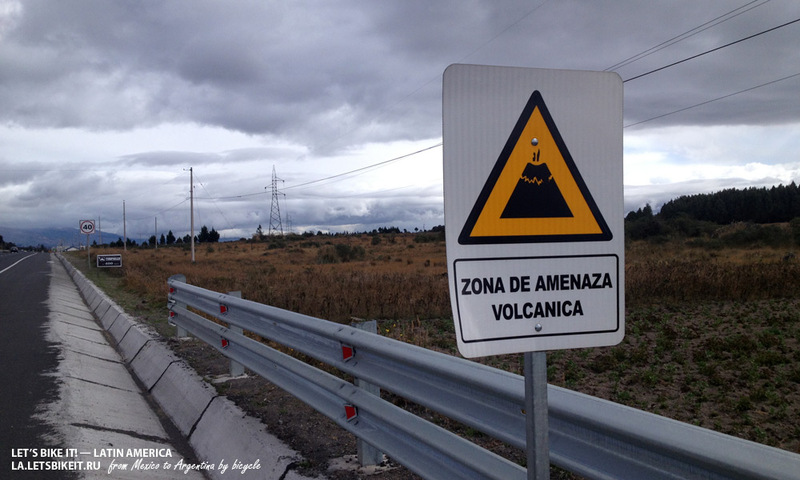 Signboards “Zone of volcanic danger” placed along the road per each kilometer. (Police helped me with 20 km). This day portended nothing bad, there wasn’t much interesting and unusual in it. For the first 40 km. 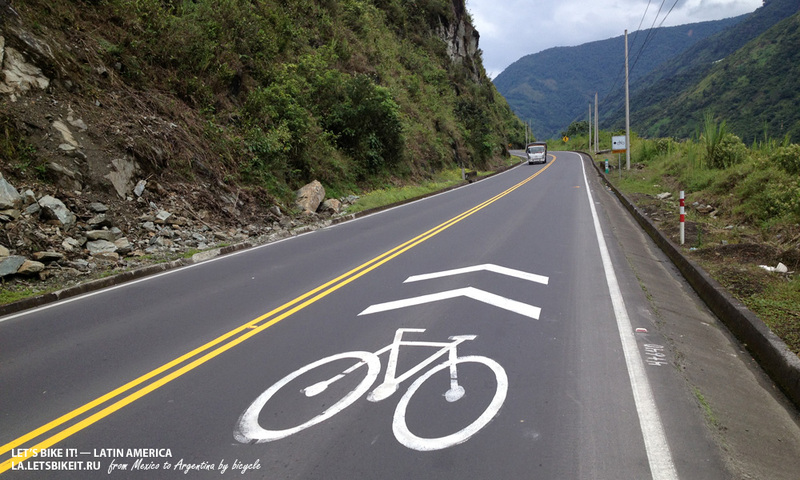 However, near the city of Ambato the road made a zigzag and started to descend (what a wild happiness it is, to ride like an arrow down at the speed of 50-60 km per hour whilst it’s spotting with rain), and right after a bridge across the river it started ascending. Only 7 km, but it was a really sharp ascend. I changed speed to low-low and, paying no attention to screams and jokes of drivers, riding by, started to pedal. In the middle of the ascend, I was caught up with by a pickup, which hardly moved upwards as well. Making fun of the situation, I tried to ride faster, than a car. A driver honked at me in jest, passengers were laughing loudly, while I was trying to look like a giant refreshed and that I could go faster, if I’d like to. I was used up not too soon, but quite fast. A pickup crept along upwards, and I stopped at a peculiar observation desk to eat a pair of green apples. There remained only 1.5 hours before dark and I had to do more than 40 km. There remained only 1.5 hours before dark and I had to ride more than 40 km. “I’ll do that”, thought I, “Cannot but do that! By the way there’ll be a continuing descend soon.” I pushed my bike at the road and proceeded ascending. 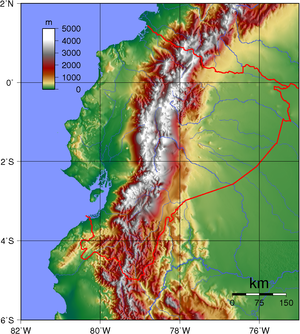 A gradual descend started after Ambato. In order to speed up I pressed the pedals. I heard a knock and then I saw a chain cracking at the asphalt. “Lovely. Well, I wonder”, I thought again, “how I’m gonna ride now! This’s not a punctured tube.” First of all I left a message on vk.com (“Should someone know how to repair it?”). 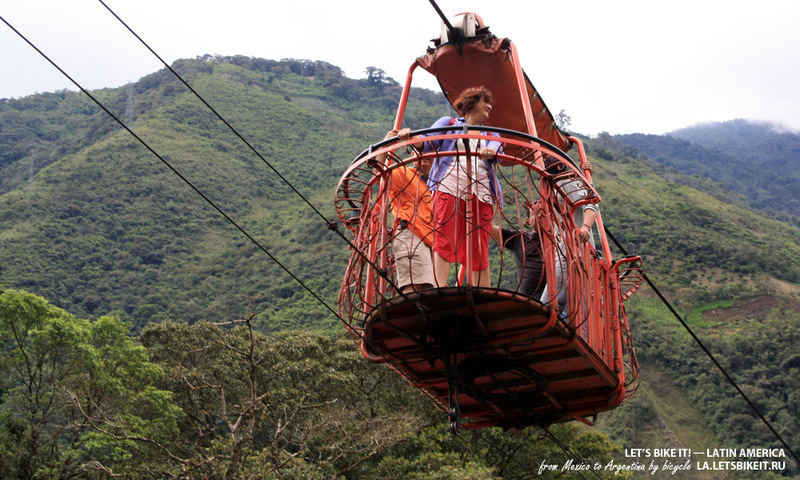 Then I started to think of how could I get to Baños: “I’m at a height of 2400 metres, Baños’s at a height of 1800. That means I can ride down the most part and if it’d be impossible, will push a bike”. I could try hitchhiking, but with every minute my chances became lesser, because it was getting dark. Pushing a bike with one hand, I tried to catch a car with the other. Only 20 km remained. In a few minutes before dark a police pickup stopped by me. — I’ll fix it in a moment. Let me see! A policeman took a chain and in the beginning was trying to tie it in a bow join one end to another. After a while, when he was in black lube up to the chin, he gave up. — It’s impossible, I had to be in Baños today. Could you give me a ride? — Too far. I could offer a lift to Ambato. It’s in 10 km from here. — No, I won’t go to Ambato. I’ll walk on foot even if I get there by the morning. — Ok, I’ll help you! At 8pm I was put off near a bus terminal. Having pushed a bike for 3 blocks in a row I found myself on the main square and saw a hostel called “Eruption”. 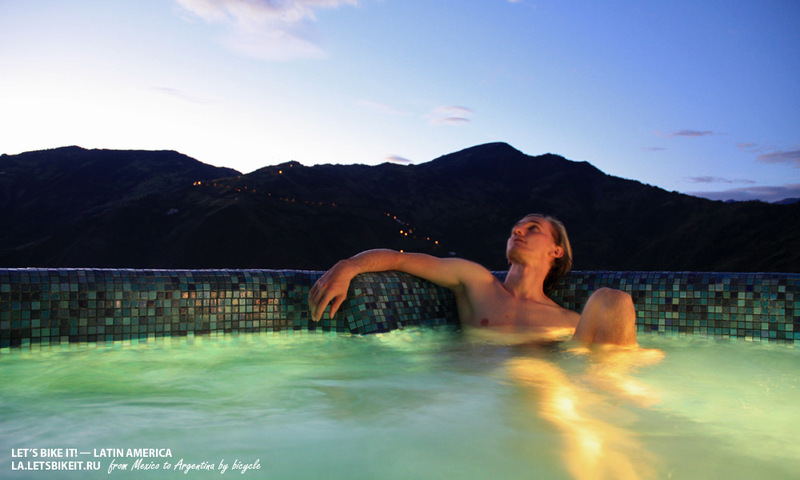 Considering that Baños’s situated in a few kilometres from an active volcano Tungurahua, the name seemed suitable for that day’s ending. Height above sea level — 1.820 m.
While examining tourist advertising booklets about Ecuador in Quito, I pointed out a few places I wanted to visit. 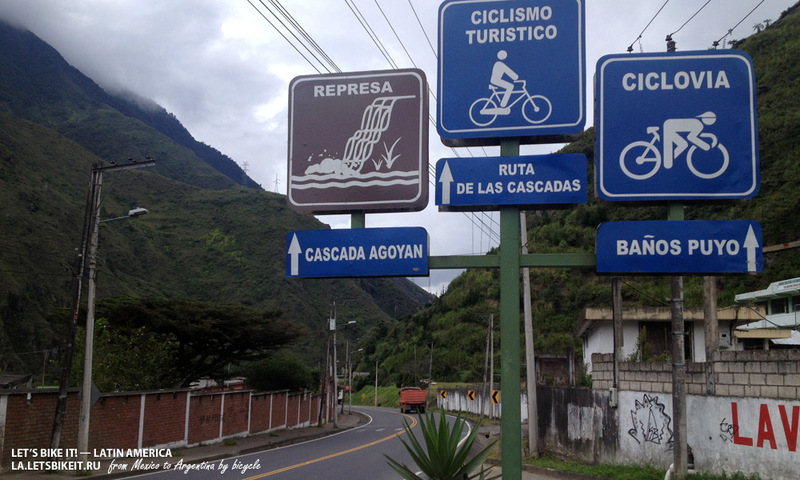 It turned out that 3 or 4 of them were situated near Baños, and thus I allowed myself to diverge from the route for more than 40 km. This small city got lucky with its location. First of all — an active volcano rises above it, and its lava flows down on the other side of it periodically, which literally means the lack of volcanic danger. There’re a lot of volcanic thermal springs which spout from under the earth. 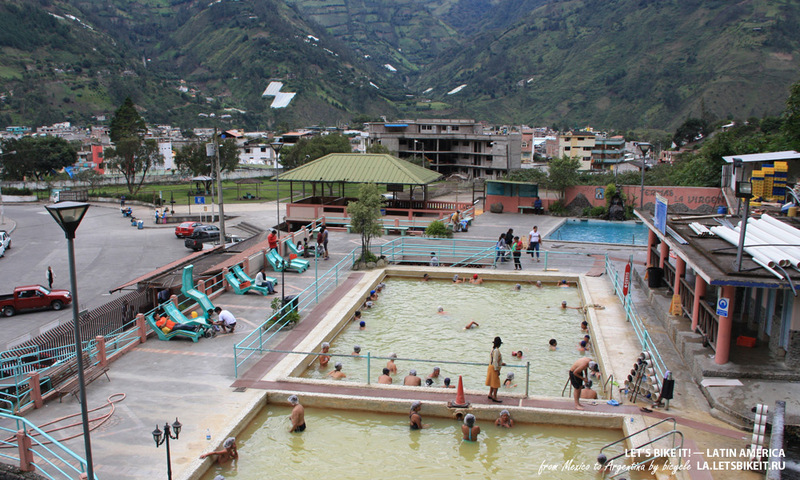 That’s why a lot of tourists come here: it’s asserted, that thermal springs fill one with energy and strength. Secondly, Baños’s situated on the border between two climatic zones: on one side of it — Sierra mountains, on the other — Amazon’s basin. It makes the climate of this place almost ideal. 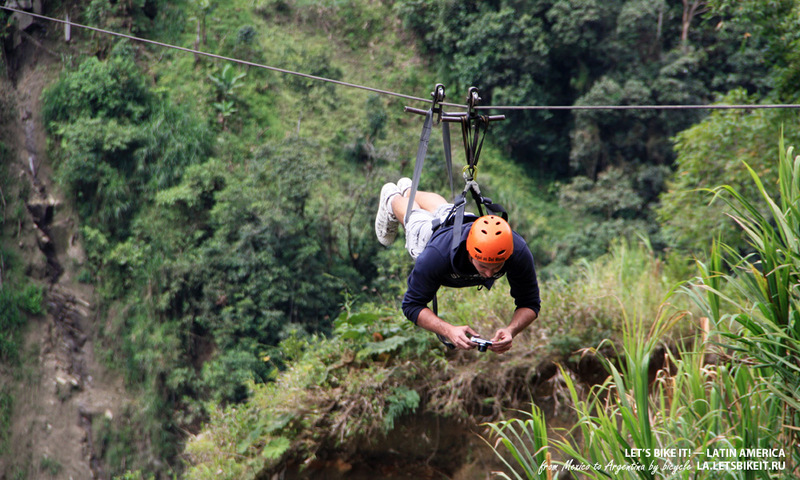 And, thirdly, breathtaking landscapes, tens of waterfalls and lots of opportunities for different types of extreme sports. There’re many hotels and hostels, restaurants and cafes for any taste and wallet. As locals say, number of tourists increased lately — thanks to the Internet. And yet, it’s a very quite place. 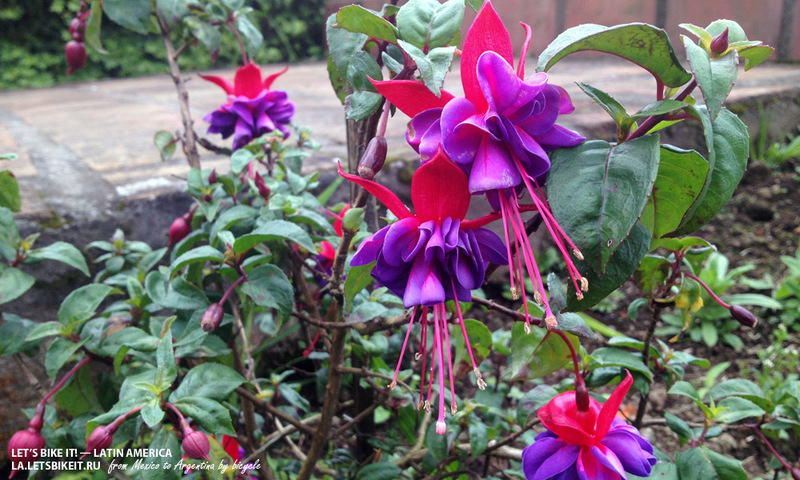 As well as rare species die out and certain feelings between people fade away, many places little by little are losing their unique atmosphere, simplicity, authenticity. I remember my disappointment after visiting Mont-Saint-Michel Abbey in France. We made a big detour in our Europe journey in order to see it, but as soon as I got there, I wanted to run away because of crowds of tourists, buying Chinese souvenirs. Admission to Chichen-Itza pyramid is already limited because of the tourists as well. Caribbean sea’s in danger because of the beaches of Cancun, to be more precise — because of the quantity of sunblock cream washed off from vacationers’ bodies. In several years a few will choose to go under sail in a small boat from Panama to Colombia — it’s planned to build a bridge there. Peruanas, when speak, remember Cusco 10 years ago: “People were open-hearted there earlier, now one could be charged for a dollar in order just to stay for a while near one of them”. That’s why one should hurry! And don’t forget about the difference between a tourist and a traveller. In the morning I first off went to a bike repair shop. 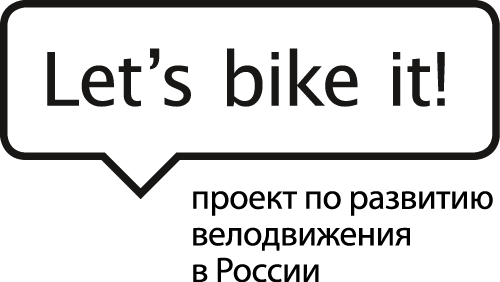 A mechanic had been looking for a substitute or at least for necessary links in a heap of broken chains, but there was nothing fitting in width, because my chain’s narrow — for 10 rear sprockets. Having understood, that nothing would come out of it, he took a hammer and started to hit on a chain. Thus he repaired it. “Anyway, you have to change it when it’s possible”, said he at parting, “Can’t guarantee, it will last till Argentina”. When I got the opportunity to move again fast and easy, I drove out on the road of waterfalls. 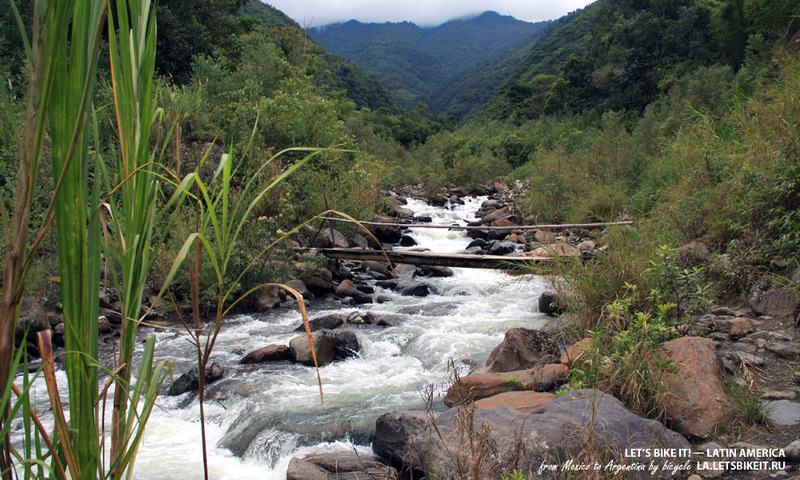 The road goes along the river from Baños down to jungles of Amazonia. The most interesting places one could see over the first 20 km. 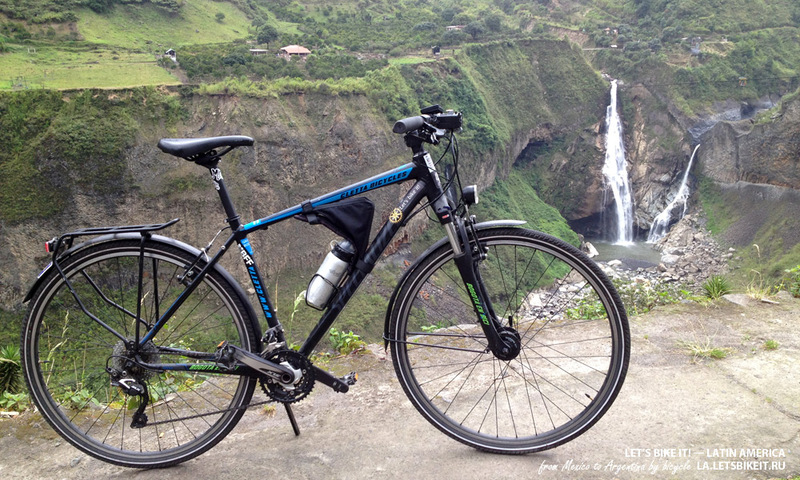 One of the popular entertainment is to rent a bicycle (6-8 dollars per day) and explore numerous waterfalls and get back by the evening on a pickup (2 dollars). When riding to waterfalls one could be caught in a waterfall. Total immersion. 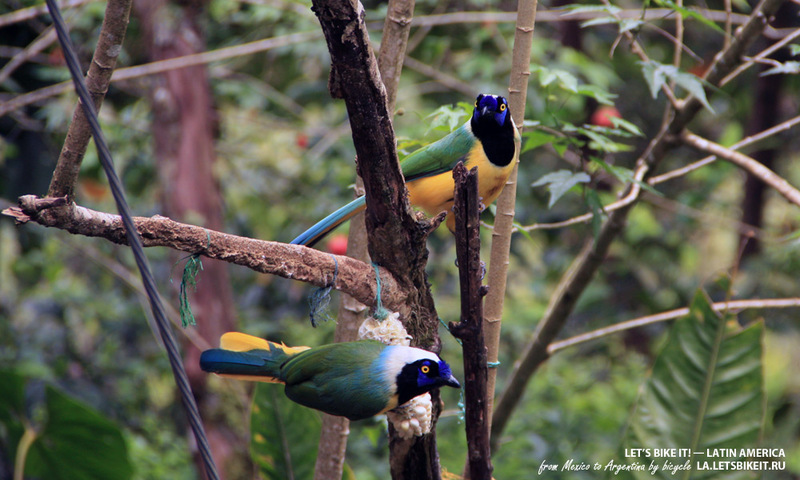 Let brightly coloured birds watch you. Meditate, looking at a mountain river. Move in a basket like this above the river and waterfalls. Pretend to be a superhero (such a downhill’s especially popular among pairs — who’s gonna be the first at the opposite side, this guy’s girlfriend has already landed). Little by little I started to feel tired of waterfalls, but at the end of the road Pailon del Diablo (the Devil’s boiler) waited for me. I saw many different waterfalls in my life but the Devil’s boiler impressed me very much. When I saw it, I literally wanted to lie on earth and die of happiness. Well, I was close to it. A wood trail descends from bicycle parking to a house, where one in order to go farther has to pay $1.5. Then it leads a bit upwards to an observation deck, situated at the top of a very beautiful staircase, going down to a boiling caldron. Even though stone stairs and observation decks are seemed to be old, that’s not true: a lower part of the waterfall was opened a few years ago, and upper part — in the beginning of 90’s. While you are on the stairs, you get a tremendous emotional burst, but a cherry on the top of this cake is a small deck, situated under a huge stone, from which an enormous amount of water rushes down. To get to this deck you need to wriggle through a narrow cave, raise on your hands and scramble out onto the first deck (a dry one, from which a picture of a staircase was taken), and then run upstairs on the very top, where the only wish you could have is to keep as close to the wall as possible. The alley of volcanos was almost entirely left behind but still I didn’t notice any snowcap. Because of weather. 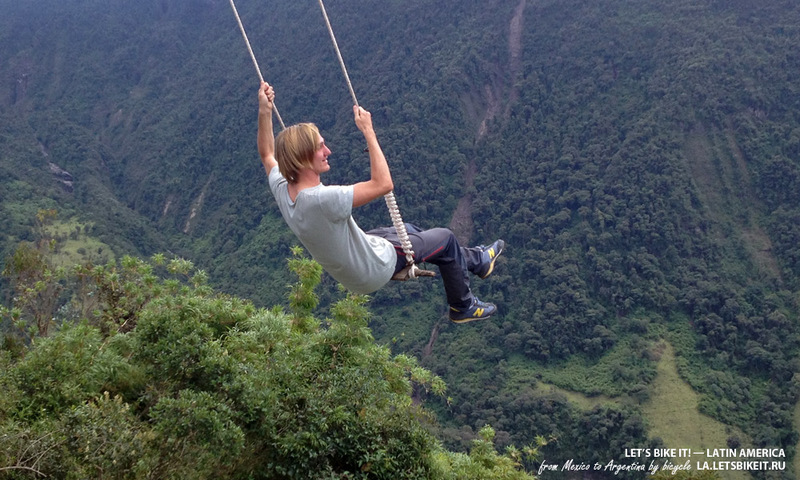 On my second day in Baños I wanted to improve the situation. The sun was shining. A bus drove me on the top of a hill, which protects the city from the volcano. There were a small house placed on a tree and swings near a house of volcanologist — a dream of Piter Pen. 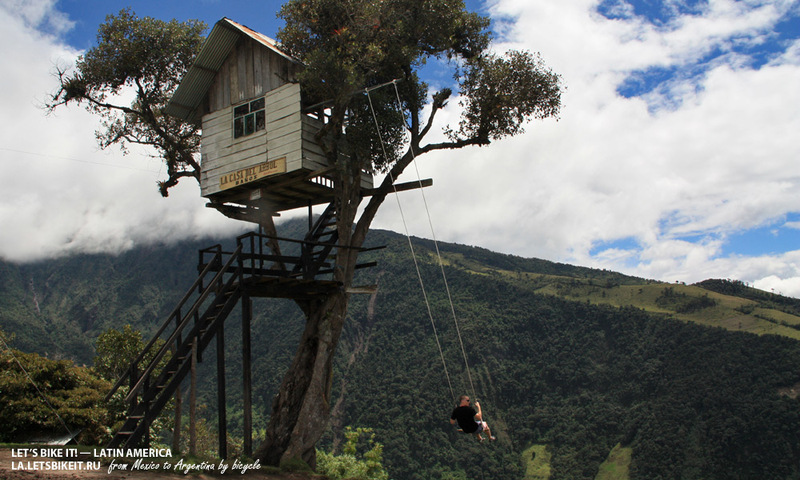 People say, these swings are “the swings of the end of the world”: bold spirits swing without safety equipment, while the others just look at them. Be honest, I didn’t notice anything dreadful in these swings. I failed to see a snowcap again, it was covered with thick dense clouds. But on the other hand I managed to listen to a volcanologist and touch heavy blocks of rock, which flew out of a crater during the eruption. On my way back I decided to go on foot and to look in at a cafe, “hanging under the city”. 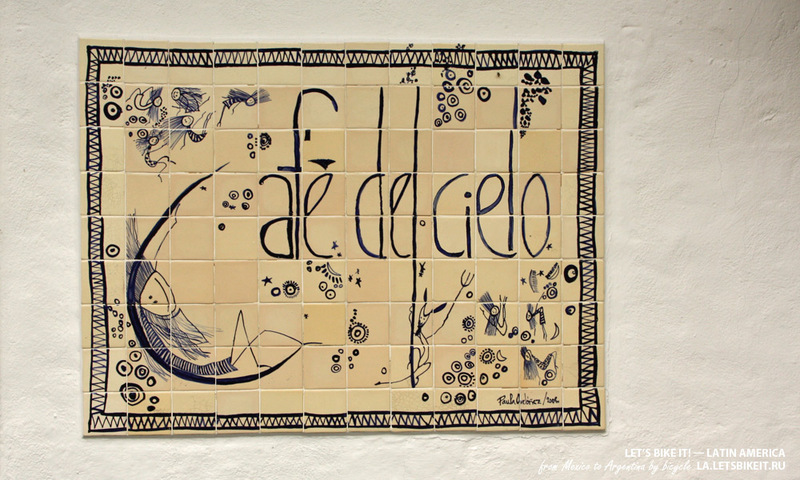 Cafe del cielo (“Heaven cafe”) is a part of a hotel complex “Luna Runtun” at a height of four hundred metres under the city. 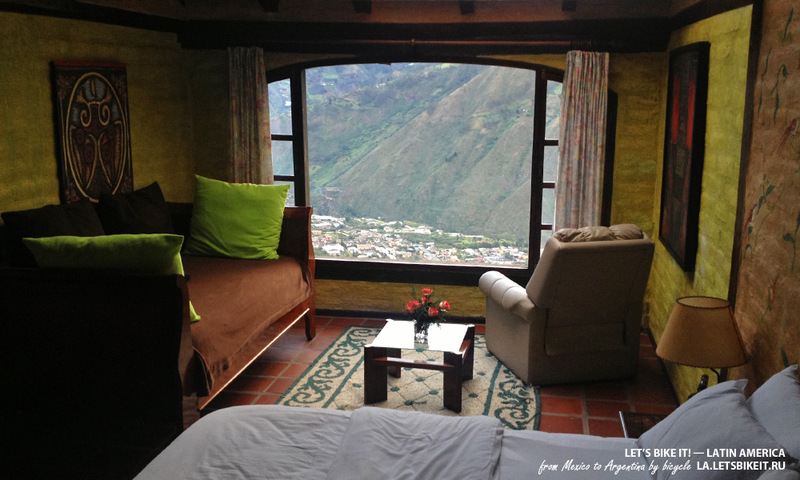 Silence, peace, a captivating view of Baños… and a sign: “Cafe’s closed in the daytime”. 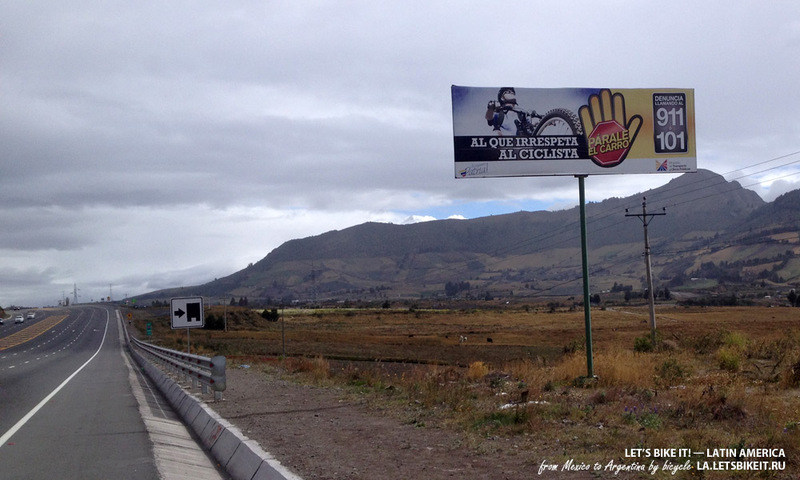 After emotional overflow during the days I spent on a road to Riobamba, nothing could caught my attention. 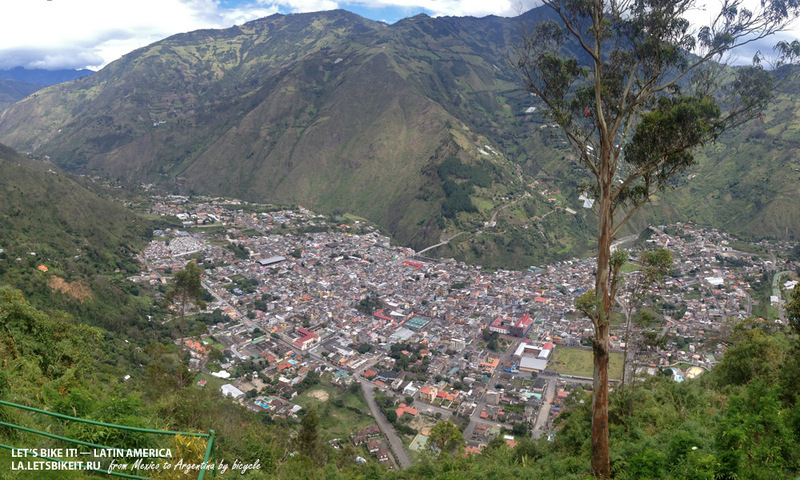 It was sad to leave a comfortable city of Baños. Only by the evening when I was very tired I got to Riobamba. 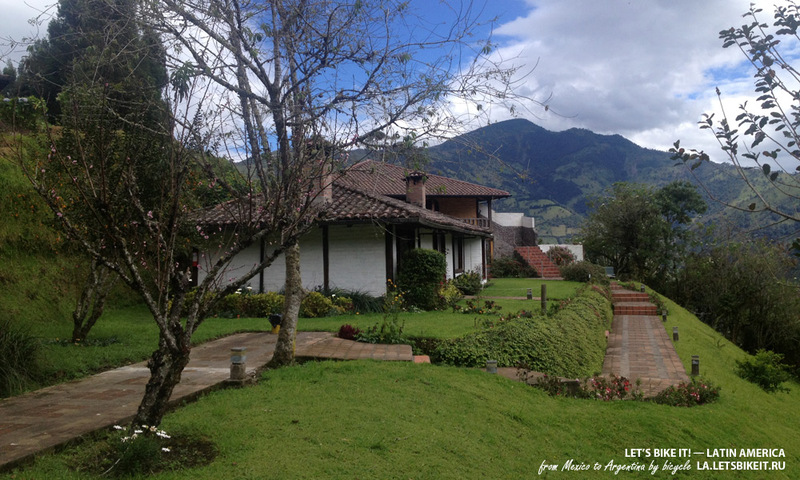 People call it “The Sultan of the Andes” and a very beautiful city, but it’s seemed to me unbearably boring. 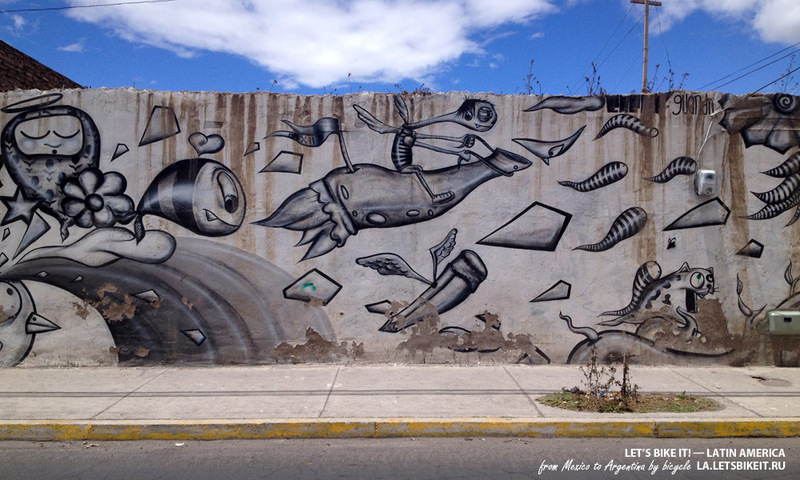 Street art in Riobamba. Like it. This day saved its evening. I met two bike travellers from Slovakia. We told each other different stories about our journey for almost four hours, when we were having dinner (yes, chicken with rice again). Then on my way back I came across a street scene, on which people were dancing celebrating a kind of festival, and crowds of people were treated with free hot drinks. When I got back to a hotel, I wanted to fall on my back on a couch, but checked my mail box first. Hotel Luna Runtun invited me to spend there a night for free. 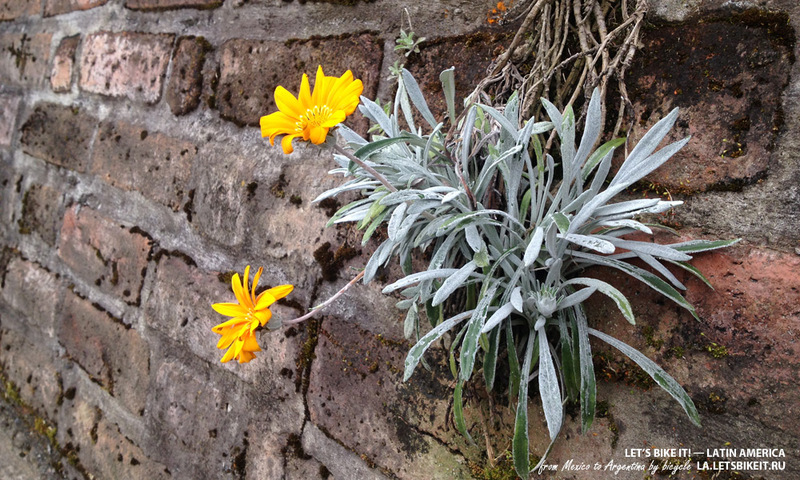 “Excellent job, Cosmos!”, whispered I looking at window, “Thanks, but why not yesterday?”. Luna Runtun Adventure SPA Hotel in Baños, Ecuador has 310 acres of unspoilt andean forest and is located in the oriental flank of the active Tungurahua Volcano (5.016m); 400m above the charming town of Baños, gateway to the Amazon Rainforest, surrounded by Sangay and Llanganates National Parks. — Vladimir, we can’t offer you a better room, because there’re too many people here now, — apologized a guy from a hotel stuff during our acquaintance. — How could it be even better! 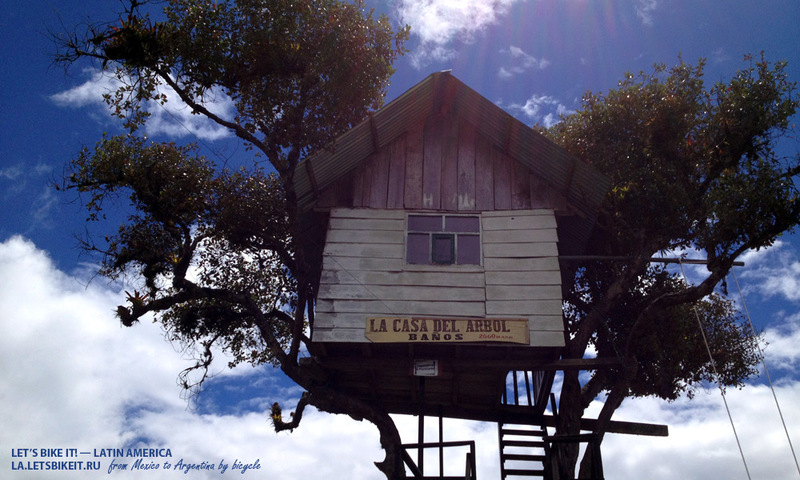 — answered I, looking at small houses of Baños. 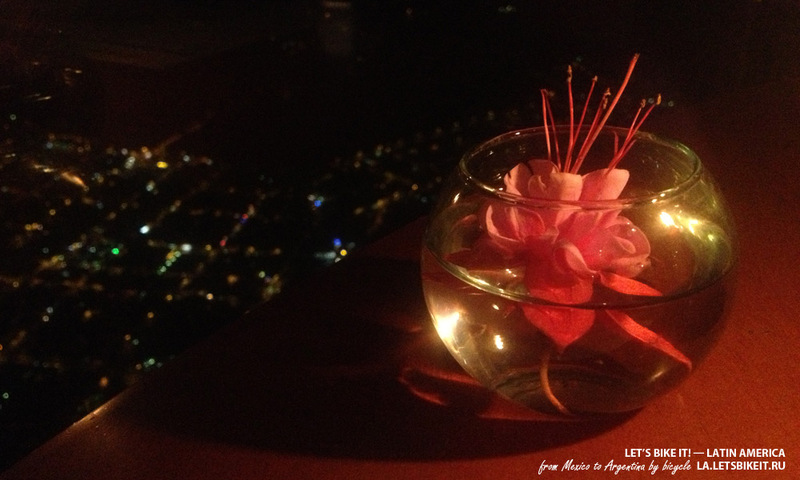 Having opened a window and let fresh air and distant noise of the city mixed with singing of birds into the room, I sat in a chair and was looking at the clouds flowing in front of me for tens of minutes. I remembered the night we spent in a 16th century castle during our journey from Russia to Portugal. I felt a bit nostalgic for different events, which happened to me in this journey. I was glad to see that there’s no TV in my room (in Latin America with a key to your room, you commonly get the remote, which I always refuse to take). Later, lying in a hot thermal bath and looking at a night city and stellar sky, I almosts stopped thinking about anything. The only thing I thought about was that night in the Caribbean sea, where small green lights emerged all around us under the water surface, and the night I spent on one of the islands of San-Blas archipelago, where a pile of palm leaves were my couch. One more bead was added to a string of flashbacks. I had dinner in the same Cafe del Cielo, which was closed two days ago.